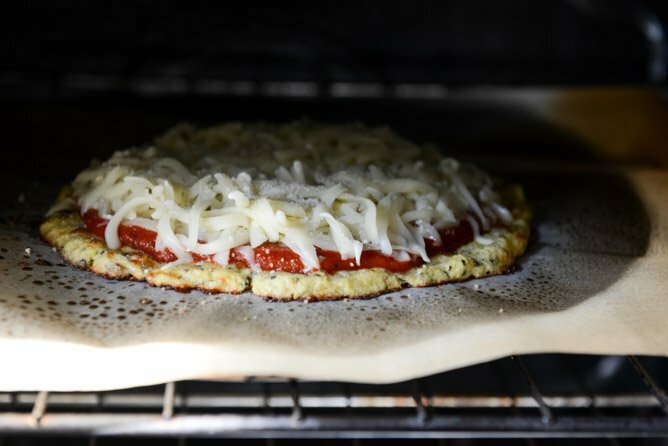 The Best Cauliflower Crust Pizza. Can’t even believe I’m doing this. 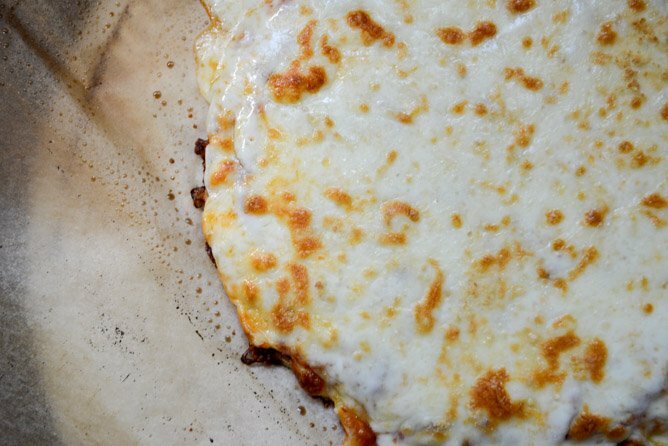 I first tried cauliflower pizza a loooooooong time ago. Back before I even knew what blogging was, back when most of the “healthier” recipes I made came from people in the gym who ate only steamed broccoli or put raw eggs in their protein shakes. I was so disappointed with the result that I SWORE I’d never try it again. Never ever ever, Taylor Swift style. And I’ve done a great job of ignoring the trend. I found this recipe on Tasty Kitchen and decided to give it a try since it was called THE BEST CAULIFLOWER CRUST PIZZA. That meant it had to be the best, right? It’s actually cheese on cheese. Now that… I can do. It is pretty darn good. For once, I was thrilled to be wrong. Since, you know, I’m never ever wrong. Never ever ever, Taylo– eh, you get the gist. We absolutely loved this. No, it does not replace pizza for me, but it’s a fun “new” meal. You can check out more of my thoughts on all that in the post. Click here for the step-by-step recipe!. Cheesy goodness all around. Whole Wheat Chocolate Fudge Zucchini Snack Cake with Candied Pistachios. We have tried this amazing recipe and we love it! We’ve shared it on our pinterest board. Thanks for such a great recipe! I tried this … and it is …. ABSOLUTELY AMAZING!! Thanks so much for sharing this awesome recipe! can you freeze the crust after the first bake? Has anybody tried it? A great using it for crust but it was a crumbly mess. I made cauliflower breadsticks and if I ever want to try crust again I’d use that recipe instead. I’ve been making quiche using a cauliflower crust. But, instead of microwaving and squeezing, I just ran an entire head of cauliflower through my juicer, and then I used the pulp. It worked great. But, I’m wondering if I should microwave it first, just to get some more of the liquid to release – I’m going to try that next. But, I was curious what your thoughts were on the whole process. The juicing method was so much easier than squeezing all that liquid out. I’m using an omega juicer, BTW.